Sizes Included: 19" circumference, stretches to fit up to 23"
Please Note: There's an error in this pattern if you purchased it before 09/17/2015. Click here for the correction. DOWNLOAD FREE PATTERN Adobe® Acrobat® required. 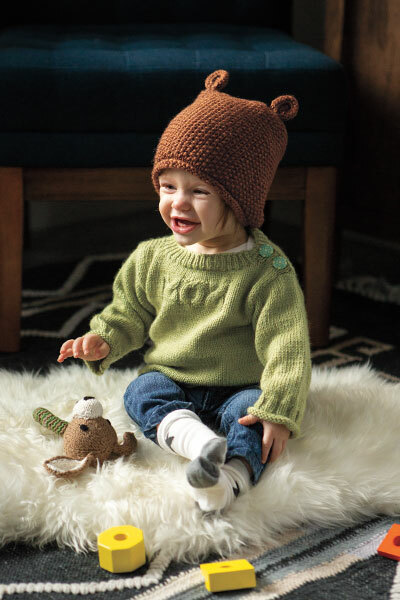 The Big Cozy Hat is just that – big and cozy! 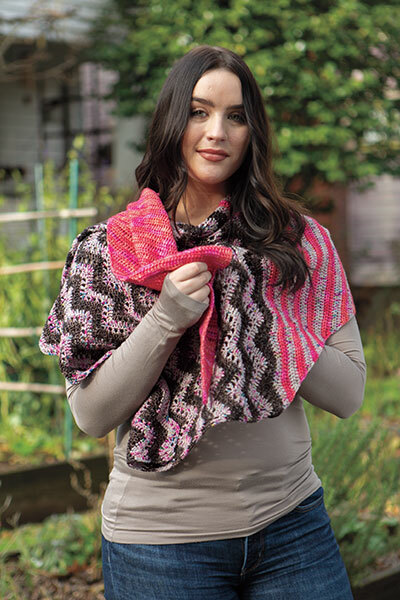 Using just one ball of super bulky yarn, this quick knit is the epitome of instant gratification. 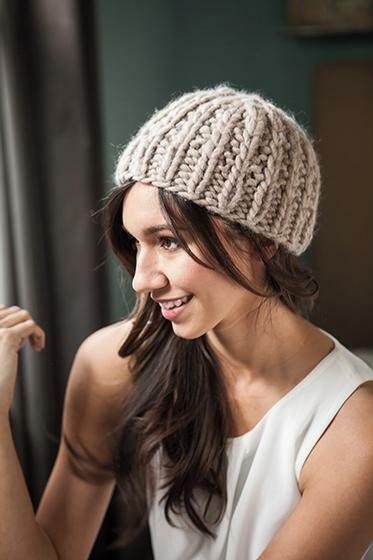 A slipped stitch broken rib adds an interesting texture while adding plenty of stretch to this versatile hat. Oops! There's an error in this pattern if you purchased it before 09/17/2015. Click here for the correction. 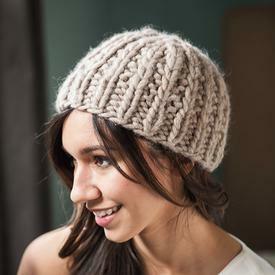 Hi, I am correcting my other review, because I had posted here the review of the yarn, not the hat! As far as the hat goes it is such a rewarding knit! I used The Big Cozy as prescribed and my color was Briar Heather, which is a lovely brown but much softer and "mate" as compared to the screen. I would say squirrel color. My knit was easy and quick and in one sitting on my evening break I knitted it up in about 2.5 hours! I also used to needles 10mm and 13mm and my gauge was a bit off, so it could have been tighter. I suggest swatching; less because of the amount of yarn (you will have enough) but more to choose well your needles. I would also say maybe one less row of ribbing and a couple more of the broken rib so it can really pop out from the design. The pattern is easy. Be creative and if you change you mind the knit is really quick and just restart! The hat is warm and a little fuzzy, which I would say could be very forgiving for mistakes. I am waiting to block and felt my hat and I expect the looks to sharpen out a little bit more.